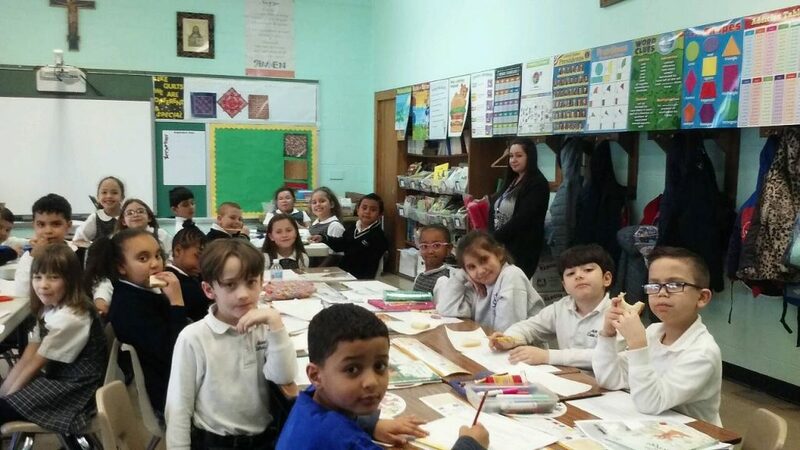 On Holy Thursday, as part of ACS’s spirituality day, the first and second grades worked together. They reviewed the events of Holy Thursday and Good Friday accompanied by worksheets. In addition, a fun part of the day was a bread tasting experience. Each student sampled sour dough and pumpernickel rye breads as well as matzo. They noted their visual observations, the bread’s texture, and of course its taste. All agreed that the best part was the grape jelly on the matzo!